FitDeck Bodyweight is the most popular deck of Exercise Playing Cards. It contains illustrations & instructions describing 50 upper, middle, lower, and full body exercises. As the name suggests, these are bodyweight-only exercises - and do no require any equipment. 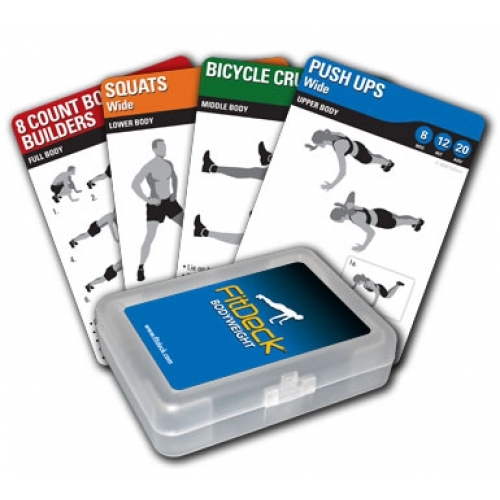 FitDeck Bodyweight provides a great foundation for any FitDeck collection.